World renowned adventure rider Glenn Heggstad will be sponsored by Powerlet and is currently putting Atomic Skin heated gear through its paces. "We are very proud to be sponsoring Glenn. His goals of perusing a life of adventure and and passion for riding are something to be admired. " Warren, Michigan — May 26, 2015 — Powerlet, a leading supplier of rugged electrical accessories for the power sports industry, has partnered with adventure rider Glen Heggstad to provide him with the necessary products he needs in his extreme adventures. Glen has often sought unique adventures wandering the earth by various means. His crowning achievement became a multi-year solo motorcycle odyssey around the earth through fifty-seven developing countries. 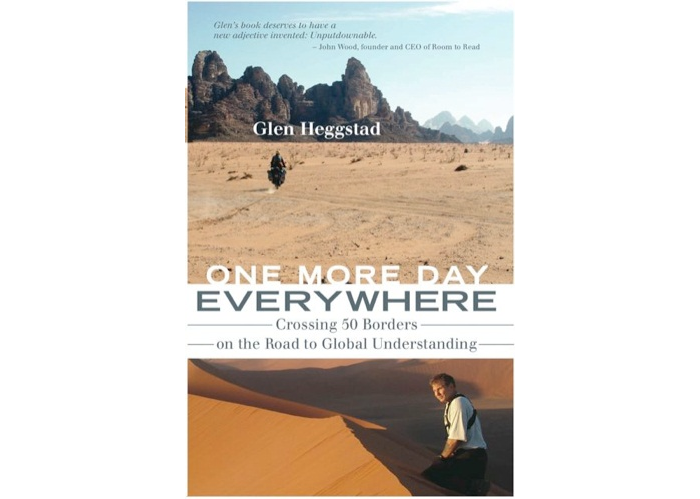 From the wilds of Siberia and the Mongolian Gobi Desert to zigzagging the Middle East through the West Bank, Israel, Pakistan and India, to the length of Africa, Glen rode into one challenging experience after another. -PKT-070 - Powerlet outlets for heated clothing, battery charging, inflating tires, etc. In addition, Glen has been testing our new line of heated gear - Atomic Skin. Glen has been featured in several television shows such as: National Geographic, CNN, Larry King Live, The Discovery Channel, MSNBC, and the Travel Channel. We are very proud to be helping Glen in his drive to make the world a better place through motorcycle adventure riding. You can find out more about Glen at www.strikingviking.net. NOTE TO EDITORS: For additional information visit Powerlet's PR website, or call Powerlet at 586-932-6886. Powerlet, the Powerlet logo, RapidFire and Luggage Electrix are trademarks of Powerlet LLC. Other company and product names may be trademarks of their respective owners.